Copper is considered poisonous by some website. Some even suggestion copper diet. However I have strong reason why I use copper for my cemenite. Copper kills bacteria: end of hospital-acquired infections? “They found that at room temperature MRSA persisted for up to 72 hours on stainless steel, meaning it had the potential to spread to other surfaces it came into contact with. This anti bacterial property can be used as solution against GMO / genetically engineered food. Some people believe that e-coli is being added to the food. Some also believe that meat and chicken also full of e-coli caused by poor production sanitation. Copper will help reduce the amount of live e-coli on fruit or meat or anything else. 2. Copper are good for plants and lands. Viktor Schauberger found that copper produce amazing results on plants and lands. Not only less pest or weeds, the quality and quantity of the harvest also increase significantly. 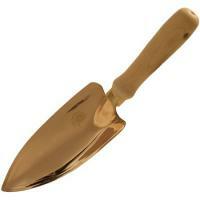 The results also verified by many people who use copper tool. At least they mention how using copper tool will reduce the number of snail that eat their plants. Increased plants quality will reduce farmer dependance to artificial drug or genetically engineered seeds. This will reduce the need of GMO, and in turn will allow us to get healthier food. The above point show how copper will give us good benefit. Some people may against the idea of using copper for food. However, the above show definite proof that copper can be used for good things too. I believe that people experience high level of copper in their body is not because because they consume too many copper but their body is having problem that indicated by high level of copper in their body. They may get better avoiding copper, but until they fix the real problem, I think they will still be sick.